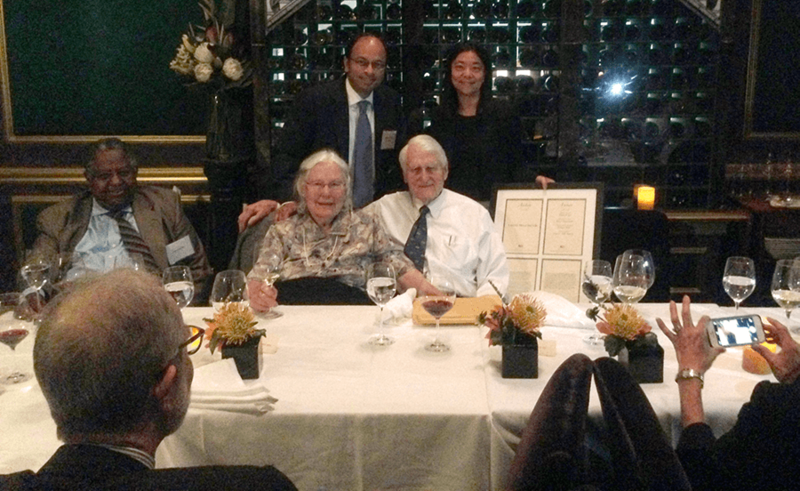 On August 25, 2014, the Gladstone Institutes hosted a reception for Dr. Smith to celebrate his career and to recognize the establishment of ASCI’s Donald Seldin~Holly Smith Award for Pioneering Research. At the reception, Dr. Mukesh Jain, the 2014-2015 ASCI President, discussed the creation of the Seldin~Smith Award, followed by remarks from Drs. Bruce Scharschmidt and William Rutter. Dr. Smith then reflected on his career and the accomplishments of UCSF faculty members. Dr. Smith with his wife, Margaret, and Drs. Mukesh Jain (2014-2015 ASCI President) and Vivian G. Cheung (2016-2017 ASCI President), at dinner after the reception. The Seldin~Smith Award was formally launched in 2016, with the recognition of the first recipient, Christian Schaaf, MD, PhD. Dr. Smith with Drs. 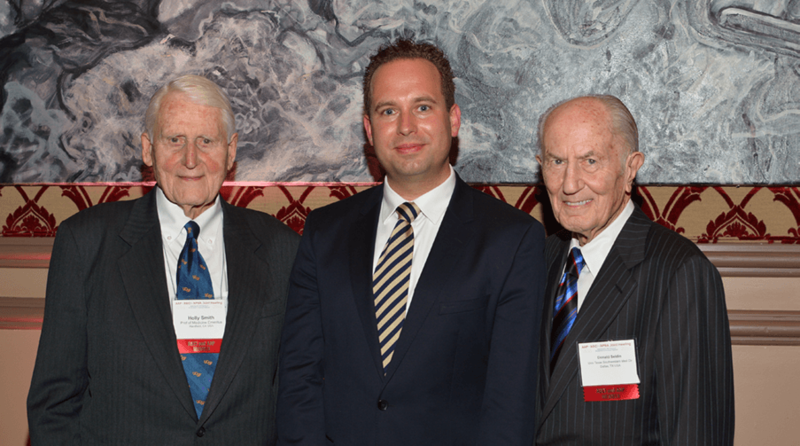 Schaaf and Seldin at the ASCI Dinner and New Member Induction Ceremony, April 15, 2016. The following is an excerpt from Dr. Smith’s 2012 interview in the JCI’s Conversations with Giants in Medicine series.